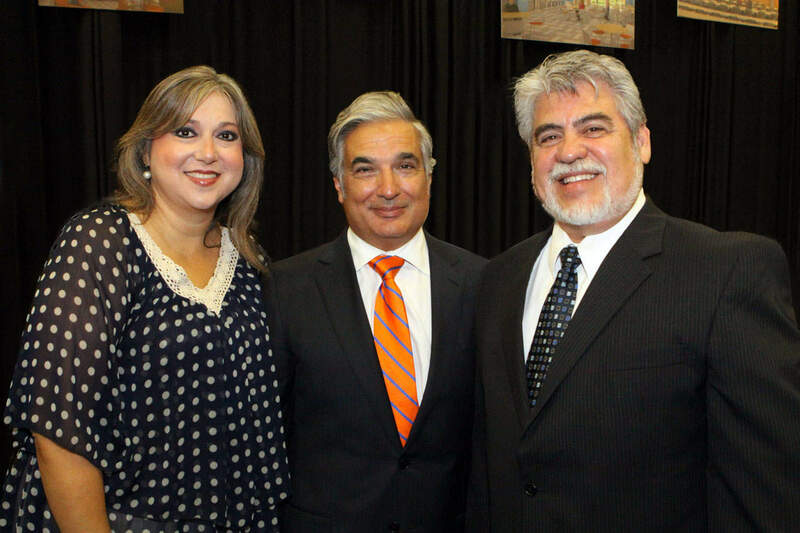 Edinburg registers lowest unemployment rate – 4.5 percent – among Valley’s cities for April 2016, reports Edinburg EDC Executive Director Agustín García, Jr. 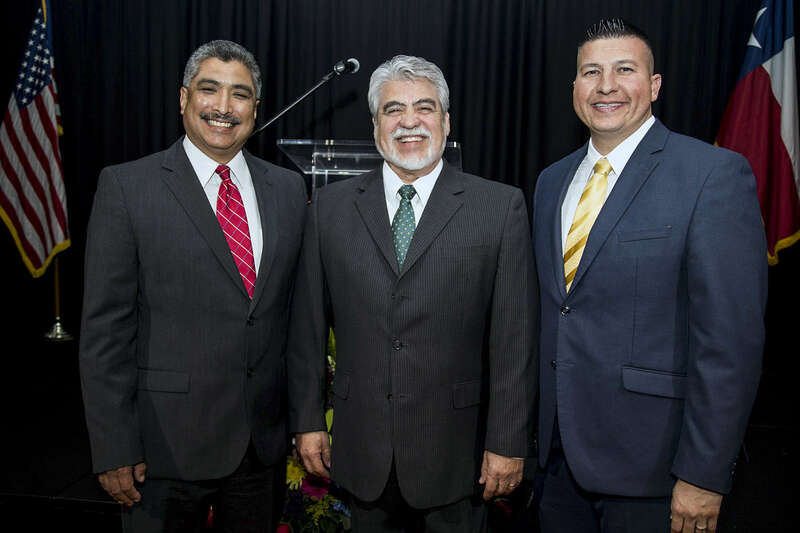 Featured: Councilmember David Torres, Mayor Richard García, and Mayor Pro Tem Richard Molina, at the Edinburg Conference Center at Renaissance on Thursday, May 19, 2016, following the mayor’s State of the City Address about Edinburg to about 300 area residents in attendance and thousands more who viewed it on the Edinburg Cable Network. Edinburg’s unemployment rate for April 2016 of 4.5 percent marked the fourth consecutive month that the city posted a monthly figure of less than five percent, the Edinburg Economic Development Corporation has announced, The April 2016 figure of 4.5 percent is the best showing for that month in almost a decade, when the city posted a 4.0 percent unemployment rate in April 2008. According to the Texas Workforce Commission, there were 36,636 people employed in Edinburg during the month of April 2016. That performance represents an increase of 758 jobs in Edinburg when comparing the employment figures for April 2016 (36,636) and April 2015 (35,878). Featured: Dr. Shervin Fatehi, left, and Dr. Javier Macossay examine a 3D-printed heart at their research lab in the Science Building on the University of Texas Rio Grande Valley campus in Edinburg. 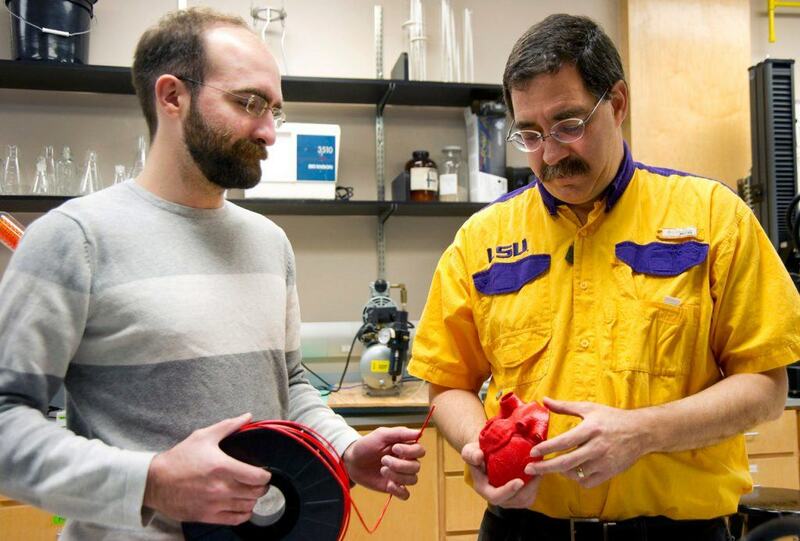 They recently were awarded a grant from startup company New Matter. 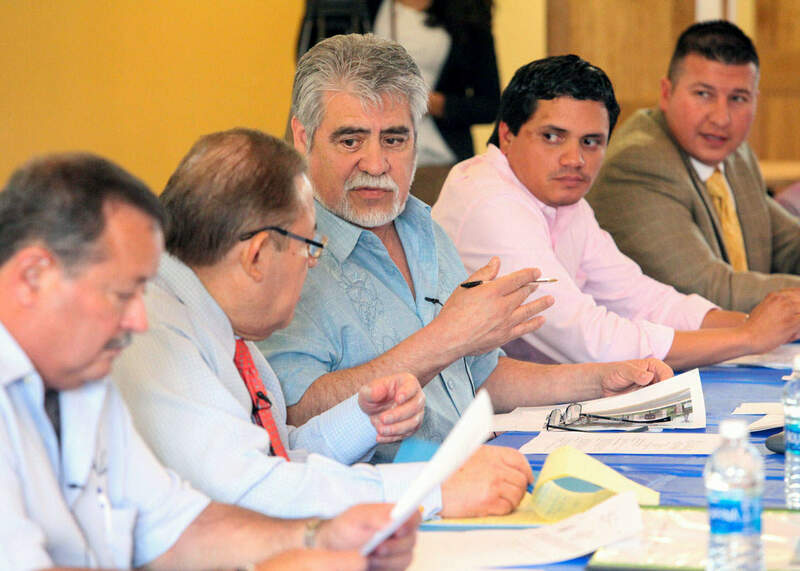 The Edinburg Economic Development Corporation, along with the City of Edinburg, promote the best interests of UTRGV and the UTRGV School of Medicine through its extensive legislative lobbying efforts before the UT System Board of Regents, the Texas Legislature, and Congress. Edinburg’s unemployment rate for March 2016 of 4.7 percent marked the third consecutive month that the city posted a monthly figure of less than five percent, with McAllen being the only other Valley city in that category, the Edinburg Economic Development Corporation has announced. Edinburg’s March 2016 figure of 4.7 percent is the best showing for that month in almost a decade, when the city posted a 4.4 percent unemployment rate in March 2008. 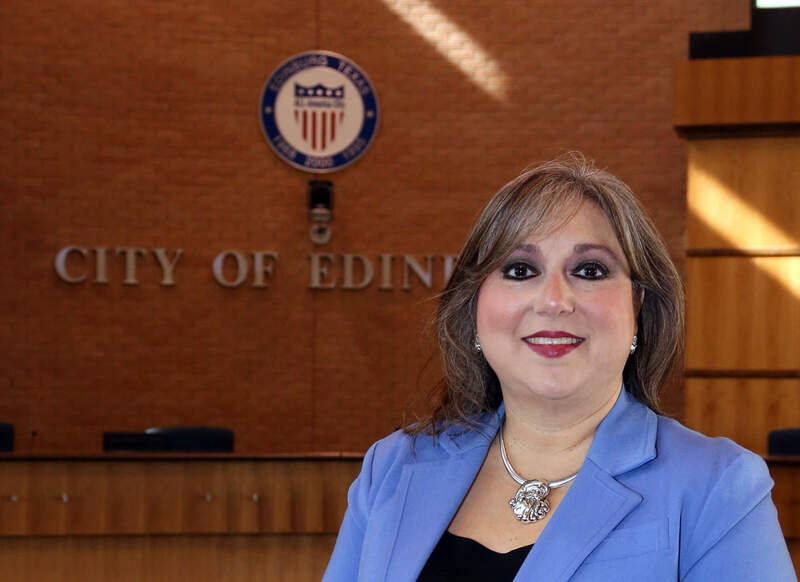 Featured: Ellie Torres, Secretary/Treasurer for the Board of Directors of the Edinburg Economic Development Corporation, earlier this year in the Council Chamber of Edinburg City Hall. Edinburg’s unemployment rate for January 2016 of 4.8 percent kept pace with McAllen and its Valley-leading 4.7 percent showing for the same month, and marked the sixth time since January 2015 that Edinburg’s monthly unemployment rate was under five percent, the Edinburg Economic Development Corporation has announced. In addition, the annual unemployment rate in Edinburg for 2o15 was 5.1 percent, the best performance for the city since 2007, when the annual figure came in at 4.7 percent. Edinburg’s latest showing was better than the U.S. unemployment rate for January 2016, which was 4.9 percent, according to the U.S. Department of Labor, Bureau of Labor Statistics (http://data.bls.gov/timeseries/LNS14000000).